A man in his 60s has died following a five-vehicle crash on the M6 in Co Westmeath. The collision happened at junction 5 (Kilbeggan) shortly before 1pm. A male driver of one of the cars, believed to be in his 60s, was fatally injured and pronounced dead at the scene. His female passenger, also in her 60s, was injured and taken to the Midland Regional Hospital in Mullingar. The four drivers and five passengers of the other cars involved were also taken to the Midland Regional Hospitals in Mullingar and Tullamore. One other passenger, who gardai described as having serious injuries, was taken by helicopter to Beaumont Hospital in Dublin. A garda spokesperson said that a report has been sent to the local Coroner. The scene is preserved for examination by Garda forensic collision investigators. The stretch of road remains closed and motorists are being asked to divert to the N52 via Mullingar. 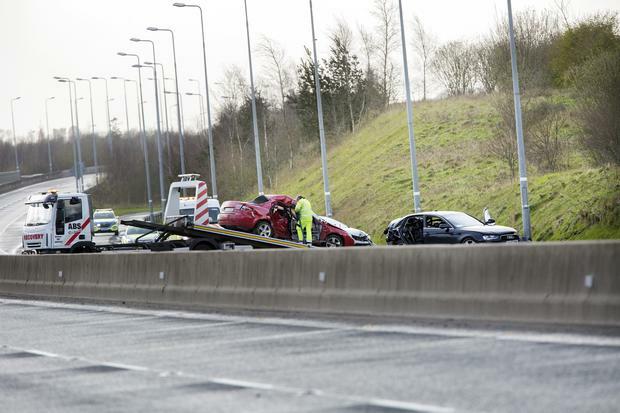 There was another minor collision on the westbound carriageway but it has since reopened. “There was an emergency helicopter and three ambulances. It seemed serious. It was a terrible shower of hailstones,” said local woman Caitriona Staunton. A recent hail shower reportedly caused slippery road conditions in the area, with extra caution advised. The Tyrrellspass St Patrick’s Day parade in county Westmeath was called off to allow diverted traffic through the area. 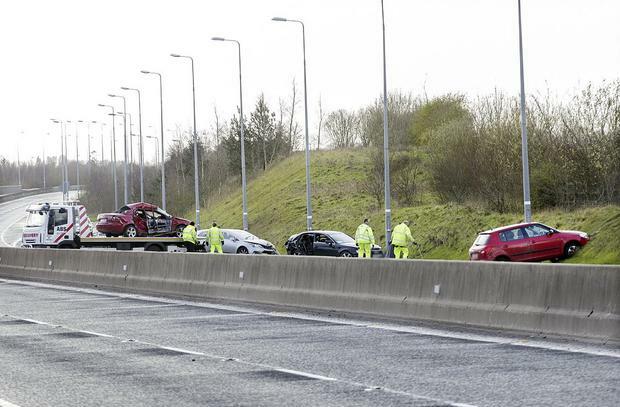 “On behalf of the committee, our thoughts are with those involved in the accident on the motor way,” a post from the organisers of the parade on Facebook read. “We ask that people please work with us as we clear the village to allow diverted traffic through." Gardai have appealed for anyone with information to contact Athlone Garda Station 090-6498550 or the Garda Confidential Line 1800 666 111.